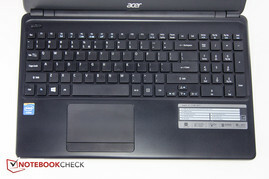 Although Taiwanese manufacturer Acer has ventured into the higher-end notebook market in the past and continues to do so - see for example the first-ever Ultrabook Aspire S3 and the sleek-and-slender all-aluminum Aspire 7 Ultrabook - the company is generally better known for their low-cost laptops, PCs, and tablets. The models in the Aspire E-series are undoubtedly part of the bread-and-butter devices Acer has gained a reputation for. 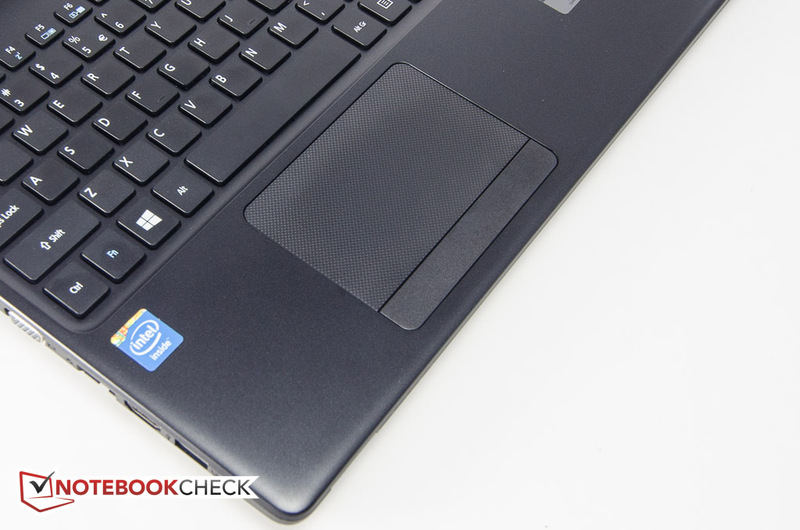 A quick check on the manufacturer's website reveals a total of (35) 15-inch notebooks within the series, ranging from non-touch models with an Intel Celeron N2920 or AMD E2-3800 APU to touch-enabled notebooks equipped with the middle-class Intel Core i5-4200U. 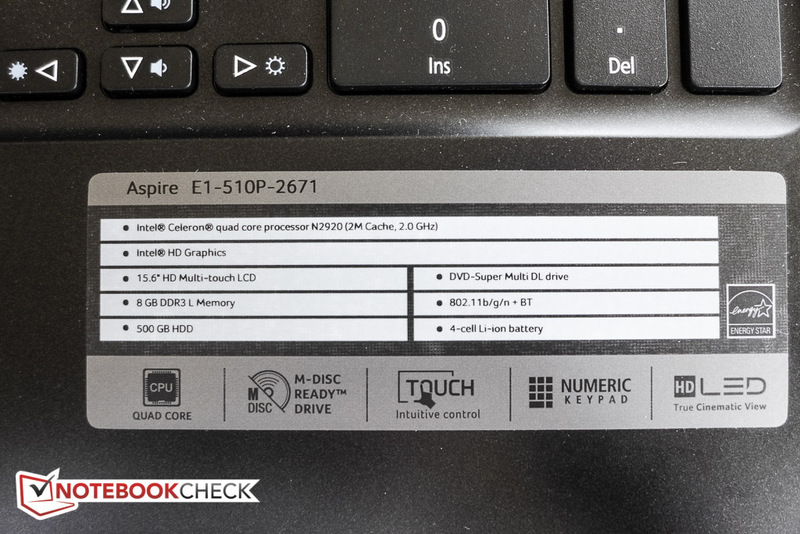 Our review model, the Aspire E1-510P-2671, comes with an Intel Celeron quad-core processor, a 10-point multi-touch display, 8 GB of RAM, and a 500 GB hard drive. A DVD-RW drive is also on board. 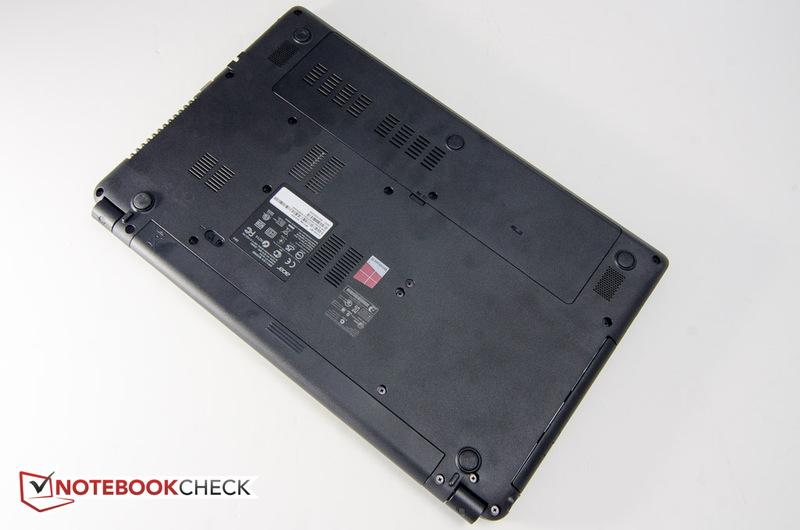 While the E1-510p undoubtedly lacks the bells and whistles one might expect from a notebook costing several hundred dollars more, the hardware of the review notebook with its MSRP of just under $450 should nonetheless guarantee adequate performance for basic tasks without breaking the bank. 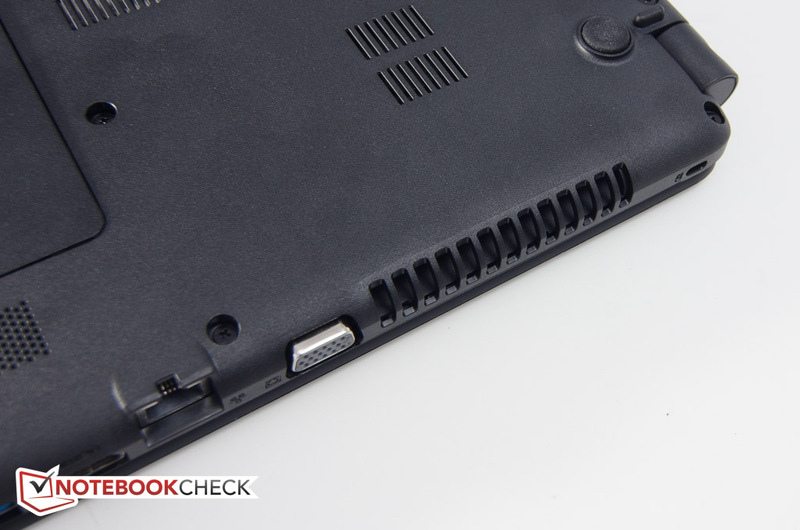 For our review, we'll compare the Aspire to other fairly basic notebooks like the Dell Inspiron 15 with Intel Core i5 CPU and dedicated AMD Radeon HD 8750M, the HP 255 G2 with an AMD Kabini-APU, and the Lenovo G500s equipped with an Intel Pentium processor. Lenovo's IdeaPad S500 Touch - with touchscreen as the name implies - comes with the same Core i5 CPU as the Dell Inspiron 15. Given the notebook's price point, we should neither expect exciting design features nor high-end materials. Unsurprisingly, the chassis construction is dominated by plastic. Acer calls the color "Clarinet Black", although it looks just like regular, albeit slightly sparkly, black to us. 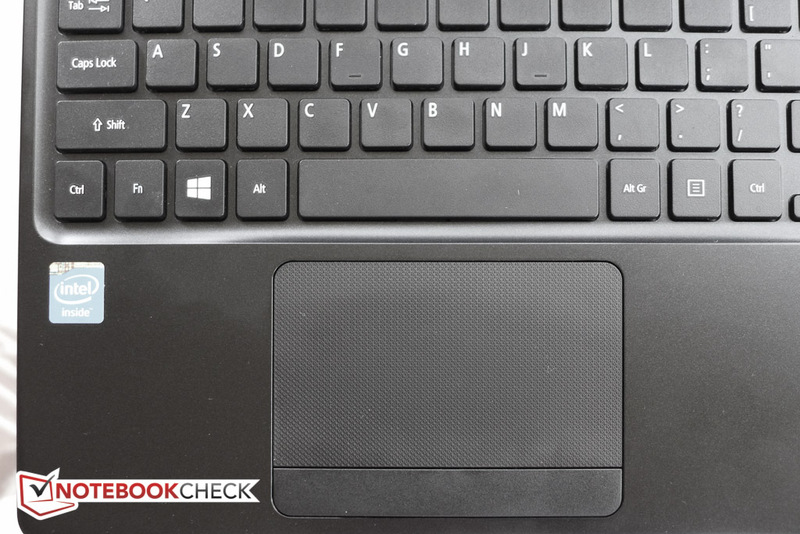 The back of the display lid as well as the keyboard tray and palm rest are smooth to the touch and unfortunately attract finger prints easily; the bottom of the notebook is made from a roughly-textured and thus fairly grippy material. For a mainstream model, the E1-510p is not overly heavy at just over 2.3 kg and lighter than most competitors, which weigh between 2.4 (Dell Inspiron) and 2.5 kg (HP 255G, Lenovo G500s). The notebook is also quite slim at barely over 1-inch thick. The construction is solid: gaps are even and the chassis, while torsionally not very rigid, doesn't protest much with creaking sounds when twisting forces are applied. There is some amount of flex on the right-hand side over the optical drive, although not enough to have a detrimental effect on typing speeds. 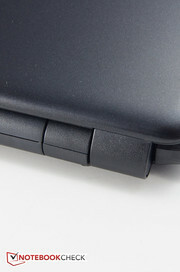 The hinges are supremely stiff, but we had issues with the display bouncing when we prodded the touchscreen during use. As far as connectivity options are concerned, the notebook only offers standard fare for a notebook this size. There are three USB ports total, although only one of them supports the newer USB 3.0 standard. Both competitors come with 2x USB 3.0. Unfortunately, the location of the various ports also leaves to be desired, since they all share the space in front of the mid-line, which can lead to a crowded workspace when USB devices and cables are plugged in. Cable-bound connectivity is provided by a Realtek RTL8168/8111 Gigabit Ethernet controller. The wireless 1x1 Mini-PCIe module AR9565 from manufacturer Atheros supports 802.11b/g/n and provides Bluetooth 4.0 as well. During our time with the notebook we didn't experience any issues with the signal strength or the reception quality. Aside from the diminutive power adapter (228 grams including the cable), and some pamphlets, the shipping carton is empty. Acer supplies the Aspire with a 12-month parts and labor, carry-in or mail-in warranty. 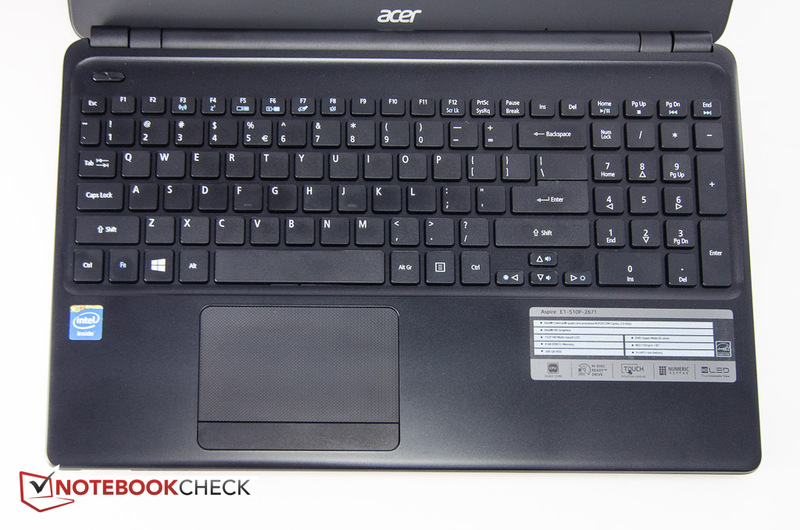 Acer uses a chiclet-style keyboard with a dedicated numeric keypad for the Aspire E1-510P. The keys measure 15 x 15 mm, are totally flat with shallow travel, but offer decent feedback. 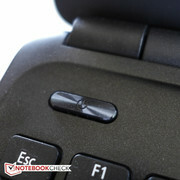 The distance between the keys is adequate at 3 mm and we generally were able to type quickly and with a low error rate. The amply-sized Synaptics touchpad measures 10.7 cm across and features a textured surface which we are not particularly fond of. 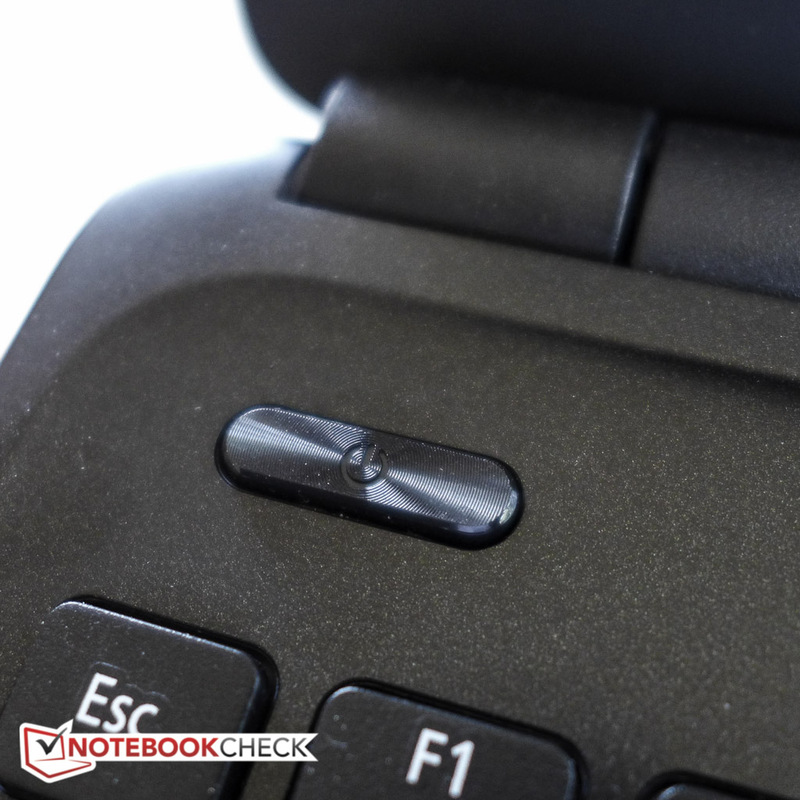 Due to the dedicated number pad, the touchpad is moved over and located only about 8 cm from the left edge of the notebook, which restricts the size of the left palm rest and might be problematic for users with larger hands. Multi-touch is supported and we generally had no issues with gestures, although the touchpad was temperamental at times: with ClickLock enabled, we sometimes were unable to release a Window after moving it. The mouse buttons are hidden under a single bar, which works reasonably well, although the travel is short and clicks are louder on the right than on the left side. 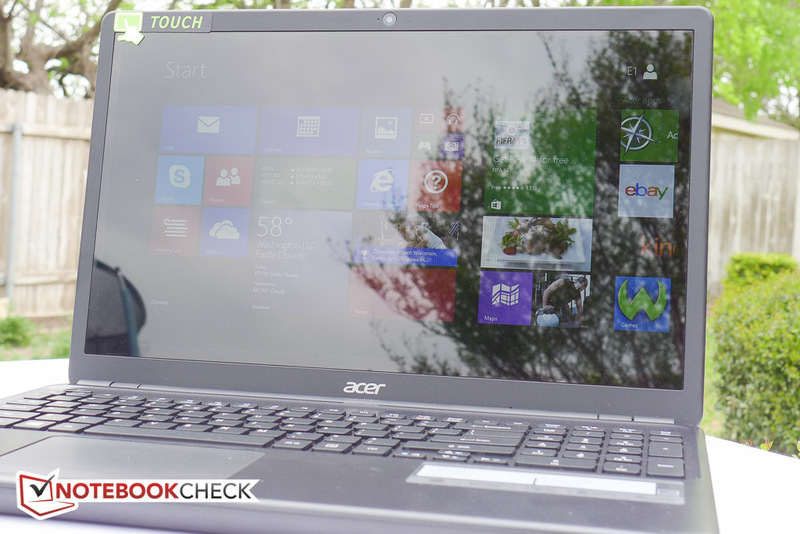 Acer equips the Aspire E1-510P with a 10-finger touchscreen panel, which responded quickly and accurately during the review period. The AUO B156XTT01.1 is a glary-type 15.6-inch touchsreen display with a rather pedestrian, but segment-typical resolution of only 1366 x 768 pixels. 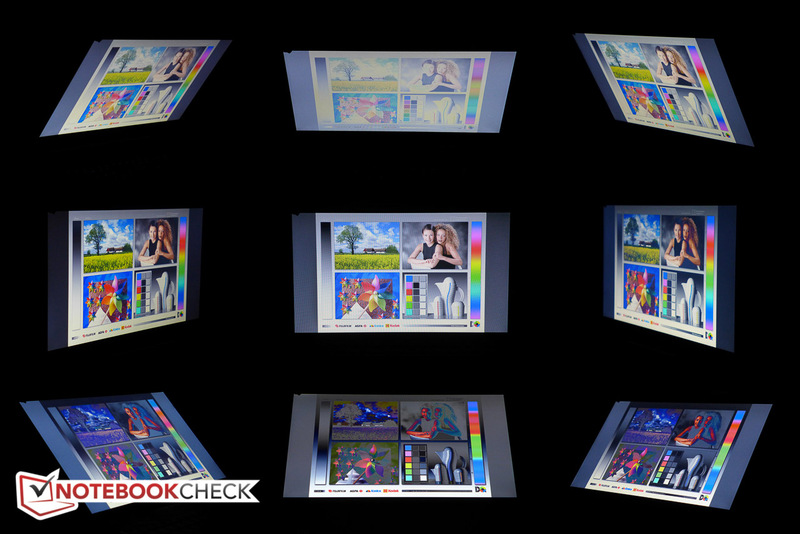 With an average brightness of only 195 nits - measured across nine quadrants using our tool X-Rite i1Basic Pro 2 - the screen is even dimmer than the already pretty dark displays of the Dell Inspiron 15 , HP 255 G2 , and the Lenovo G500s, which all manage to at least top 200 nits. 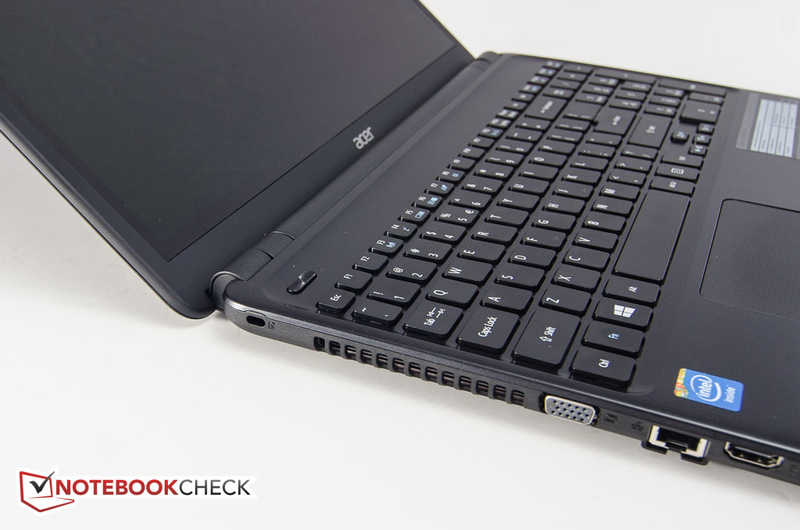 In addition, the brightness is reduced to only about 166 nits in the center when the notebook is running on battery. 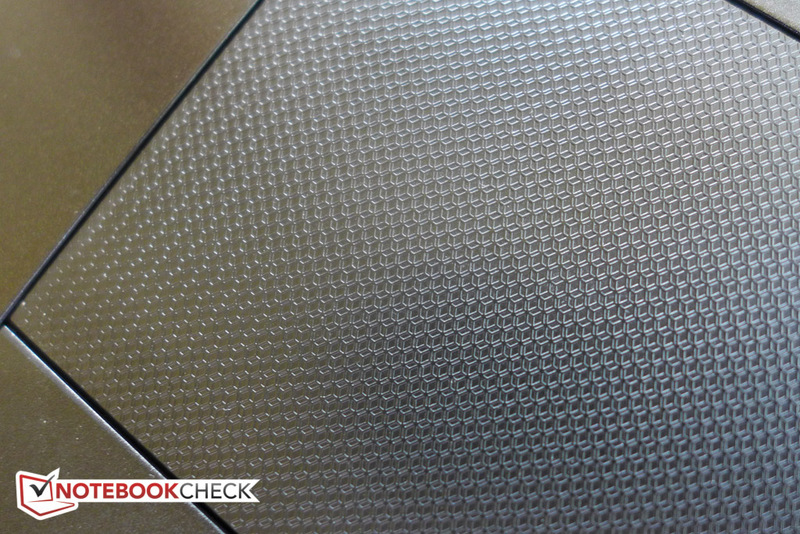 Things could be worse: Lenovo's IdeaPad S500 Touch has an average brightness of under 170 nits. 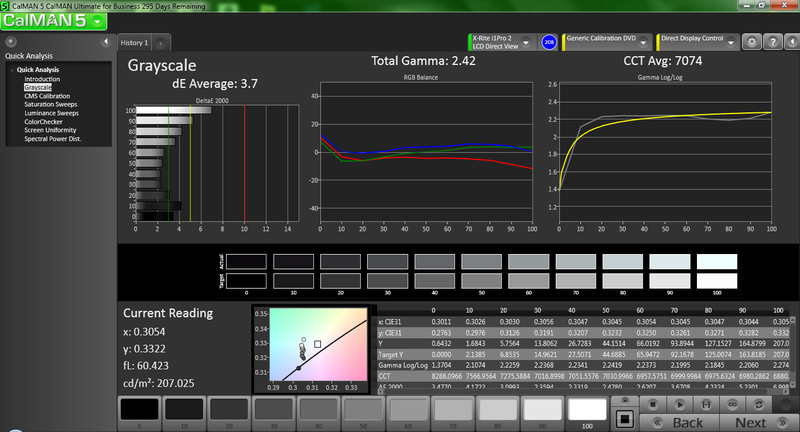 The black value of 0.55 cd/m² and the corresponding contrast ratio of 370:1 are also par for the course. The other notebooks offer comparable contrast ratios; only the HP 255 G2 stands out with contrast ratio of 570:1. The display of the E1-510P only covers about 53 % of the sRGB and less than 38 % of the AdobeRGB professional color spaces. 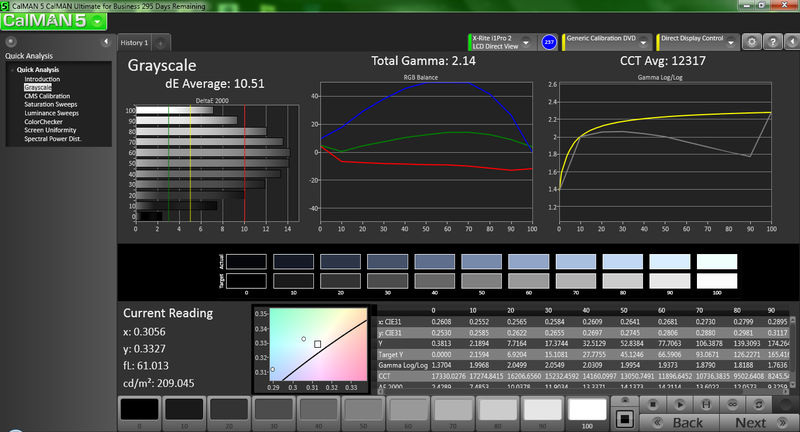 Before calibration, the color accuracy is downright dismal with average DeltaE deviations of above 10 for both colors and grayscale. 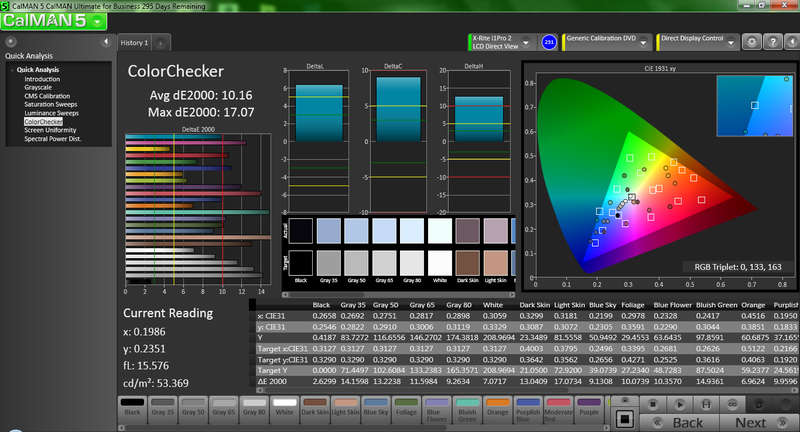 The display is also extremely cool with a color temperature of about 12000 K and has a very distinct blueish cast. Fortunately, the display lends itself very well to calibration: the average DeltaE dropped to about 4 for colors and less than 4 for grayscale. Blue is still noticeably outside the range (DeltaE of 15) at 100 % saturation, however. Of course, this notebook doesn't target professional photo editors or graphic artists and it stands to reason that displays on entry-level notebooks are going to remain uncalibrated anyways. The typical user will probably be able to live with the shortcomings of the display. Outdoor usability is poor. The glare-type display combined with a maximum brightness of only about 160 nits with the notebook running on battery means that it is almost impossible to identify the screen content in direct sunlight. Even overcast conditions can pose problems and the user will have to adjust the display panel frequently. Viewing angles are typical for a low-cost TN display panel. 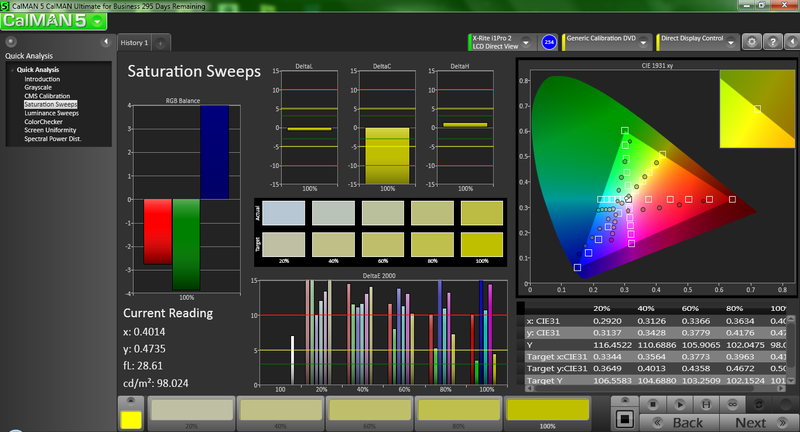 Deviations in the vertical axis lead to immediate color changes, decreases in brightness, and complete inversion of the picture depending if the user looks at the display from above or below. Side-to-side stability is better, but still far from great. Acer outfits their budged notebook with a 1.86GHz Intel Celeron N2920 quad -core processor, a fairly generous 8GB of RAM, and a 500 GB platter-based hard drive. 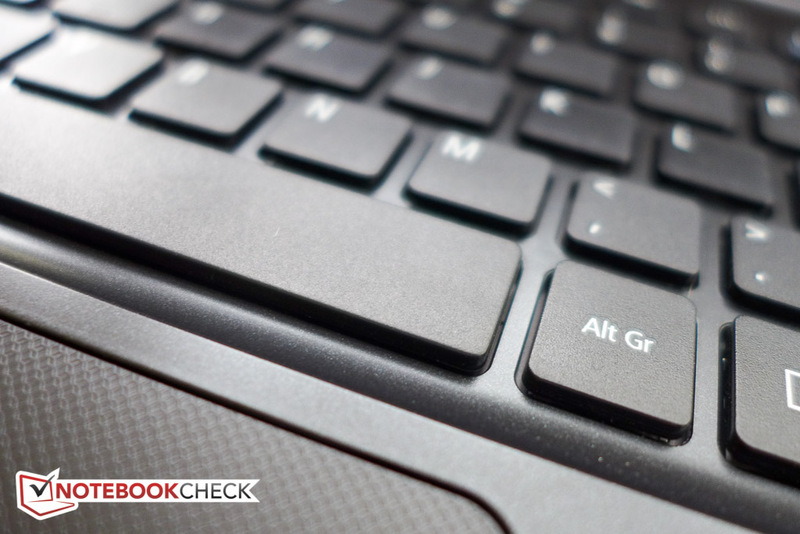 Despite the bargain hardware, the notebook should still be able to handle typical tasks like word processing, browsing, or watching videos. 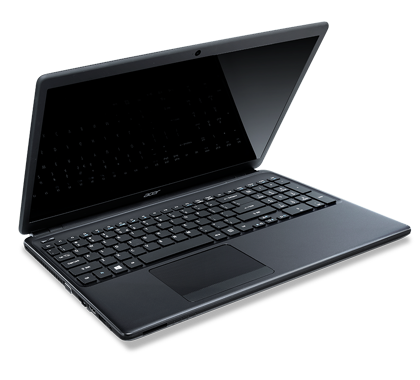 As we mentioned in our introduction, Acer also offers the E1-series with more potent processors. 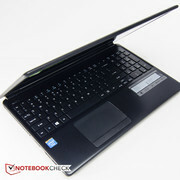 The Aspire E1-572P-6426 comes with the Intel Core i5-4200U processor and retails for $630. The Intel Celeron N2920 is an entry-level SoC based on the Silvermont architecture with a clock speed of 1.86 to 2.0 GHz. The quad-core Bay Trail-M CPU does not support hyperthreading, but is very power efficient with a TDP (Thermal Design Power) of only 7.5 watts. With Cinebench R11.5 scores of 0.37 and 1.38 points (single / multi), the SoC easily outperforms the AMD Kabini E1-2100 APU HP uses for its 255 G2, (0.25 / 0.47 points), although both the Intel Pentium 2020M in the Lenovo G500s (1.0 / 1.94 points) as well as the the Intel Core i5-3337U in the Dell Inspiron 15 (1.03 / 2.49 points) are significantly more powerful - especially as far as their single-core performance is concerned. During the Cinebench tests, the SoC maintained its modest Turbo speed of 2.0GHz the entire time. 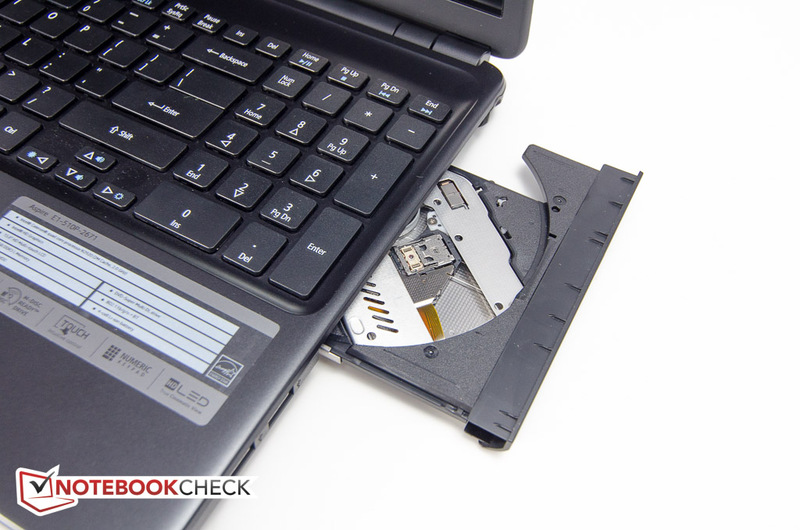 The performance does not take a hit when the notebook is running on battery power. We use PCMark 7 to get an idea how the system handles various applications and to evaluate overall system performance. 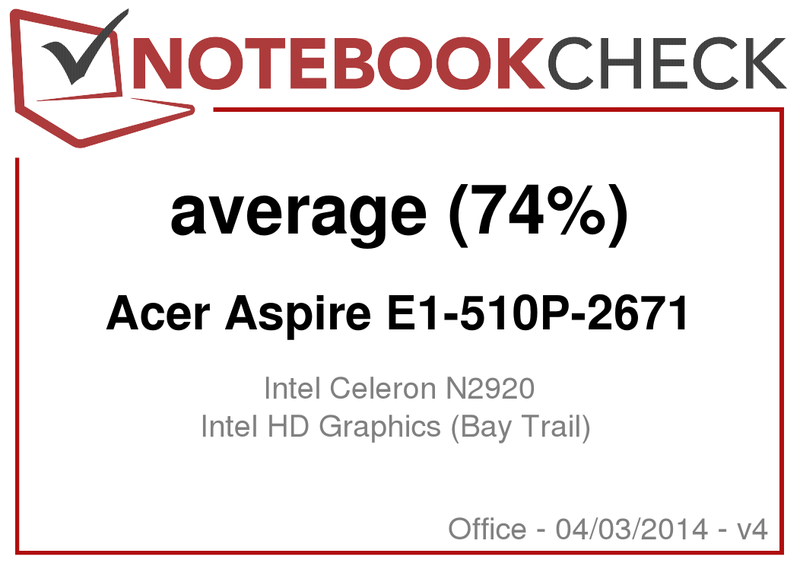 With a result of 1595 points, the Aspire E1-510P is about 30 % faster than the AMD APU-equipped HP 255 G2, but once again trails the Dell Inspiron 15 with the AMD Radeon HD 8750M (2119 points; + 33 %) and the Lenovo G500s (2343 points; + 47 %). With their conventional 5400 RPM hard drives, all systems mentioned above are on equal footing as far as their storage is concerned. 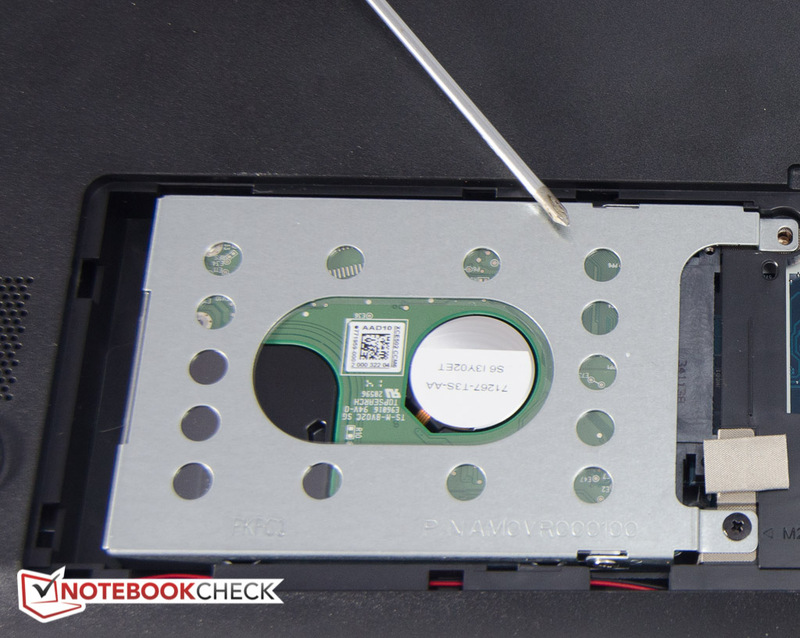 Thanks to its significantly faster SSD, the Sony Vaio Fit 11, which is equipped with the same processor as our review notebook, scored 2839 points running the same test - a plus of 78 %. Subjectively, performance is OK, but not overly snappy. While boot times are reasonable fast, opening apps can sometimes require a bit of patience. 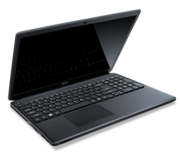 The Aspire E1 is equipped with a Western Digital Scorpio Blue hard drive (WD5000LPVX). The drive offers a capacity of 500 GB and a rotational speed of 5400 RPM. HD Tune attests the hard drive an average transfer rate of 83.4 MB/s, and an access time of 18.5 ms - both are decent values. 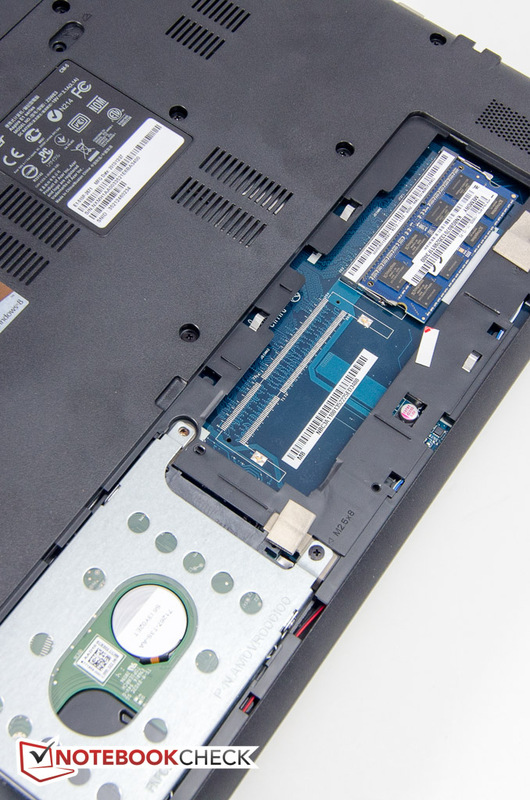 Overall, the performance of the drive is similar to the Seagate Momentus Thin Lenovo uses for the G500s; the other competitors feature slightly slower hard drives. The DirectX 11-capable Intel HD Graphics, which is integrated in the SoC, offers only 4 EUs (Execution Units) and tops out at a fairly low clock speed of 844 MHz. The performance is therefore not comparable to the faster HD Graphics that ship with the Core i CPUs. A quick check with the benchmark Unigine Heaven 2.1 revealed a jerky frame rate of 2.4 fps - far slower than the previous-generation Ivy Bridge HD 4000 (16 EUs; up to 1350 MHz) used in mainstream processors, which achieved an average frame rate of 10 fps. No surprise here: any current games (save for some online browser games) are simply unplayable. Even the older Anno 2070 achieved only 15 fps with the resolution at 1024x768 pixels and details set to low. At the native solution of 1366 x 768 and the details set to medium, the frame rate dropped to about 6 fps. Because of the low-power components, the notebook doesn't require a powerful and thus noisy fan system to keep it cool. During idle and simple tasks like word processing, the E1-510P is more or less inaudible at around 31 dB although the clicking of the hard drive is noticeable at times. 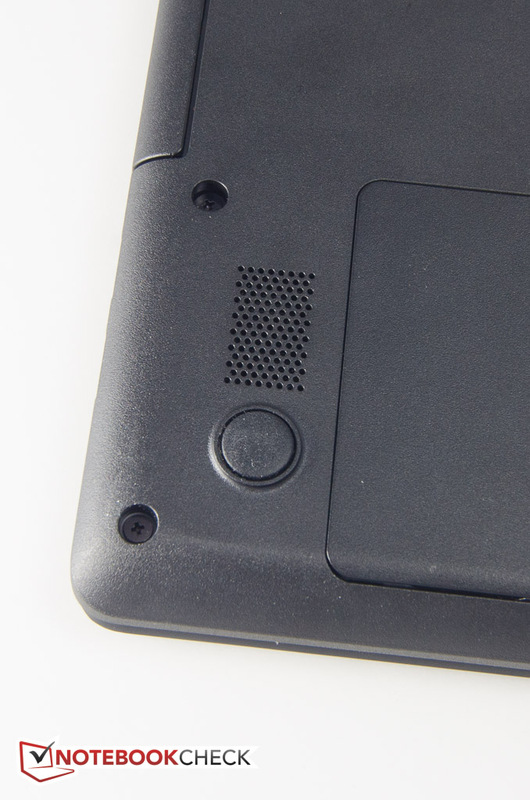 Even under load, the notebook stays quiet at around 35 dB. When we ran our stress test, which taxes the CPU portion and the GPU at the same time, the system noise increased to about 38 dB, which is still acceptable. The Dell Inspiron 15 and the Lenovo G500s are a bit louder at 44 dB and 43 dB; the HP 255 G2 with the AMD APU doesn't even reach 35 dB. The DVD drive proofed to be the noisiest component: during data access, the drive is very loud at 47 dB. The notebook doesn't get warm at all during idle and the palm rests stay comfortably cool at 5 - 6 degrees C above ambient. Even during our prolonged stress test, the temperatures stayed well controlled at an average of less than 30 degrees C with a hotspot in the middle of the keyboard just reaching 35 degrees C. The palm rest area to the left and right of the touchpad remained quite cool at 29 and 26 degrees C, respectively. Placing the notebook on the lap is possible without restrictions. In order to determine if a review notebook can handle heavy workloads and to see if throttling occurs, we stress both the CPU and GPU portion of the SoC with Prime95 and Furmark while monitoring with various tools. With only Prime95 running, the four cores of the Intel Celeron N2920 operated at their maximum Turbo Boost frequency of 2.0 GHz. with core temperatures stabilizing at around 80 degrees C. When we switched to just Furmark, the GPU portion maintained 844 MHz with the temperatures of the SoC slowly creeping up and eventually reaching 88 degrees C. With both Prime95 and FurMark running in parallel, the GPU still maintained 844 MHz while the CPU portion dropped down to the nominal 1.8 GHz. The SoC had reached upwards of 100 degrees C during the test, which is definitely on the high side. A subsequent check with 3DMark 11 immediately after the stress test showed no decrease in either CPU or GPU performance. 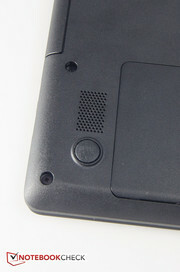 The two stereo speakers sit on the bottom of the notebook towards the front and fire downwards into the surface the notebook is sitting on. Highs, mids, and lows are reasonably well-balanced, although bass is lacking, and the maximum volume level is sufficient. Overall, the sound quality is certainly good enough for videos and the occasional soundtrack, although external speakers or headphones are still recommended for those demanding higher sound quality. Considering its size, the E1-510P ships with a very small 37 Wh battery (HP 255 G2 and Lenovo G500s: 41 Wh, Lenovo S500 Touch: 48 Wh, Dell Inspiron 15: 65 Wh). Thanks to the very frugal components (Celeron N2920: TDP of 7.5 watts) and aided by the fact that the display is not very bright, the notebook is capable of very decent run times despite the smallish battery. To assess the maximum battery life, we use the Power Saver profile, turn the brightness all the way down, disable wireless, and run the Battery Eater Reader's test. The Aspire lasted for about 8 hours and 30 minutes, which is a very good result. For our WLAN test, which is a lot more practically relevant, we set the display brightness to about 150 nits (9/10), enable wireless, use the Balanced profile, and start a script which simulates visiting different websites. The E1-510P lasted for just under 5 hours, which is an outstanding result for this class and beats the Lenovo G500s (3 hours 14 minutes), the HP 255 G2 (4 hours 41 minutes), and even the Dell Inspiron 15 (3 hours 57 minutes) with its much larger battery handily. Even the minimum battery life of 3 hours (High Performance profile, wireless, maximum brightness) is excellent, although we need to keep in mind that the display only reaches 160 nits, which isn't very bright. Playing DVD movies is possible for about 4 hour and 30 minutes - enough for two feature-length movies. 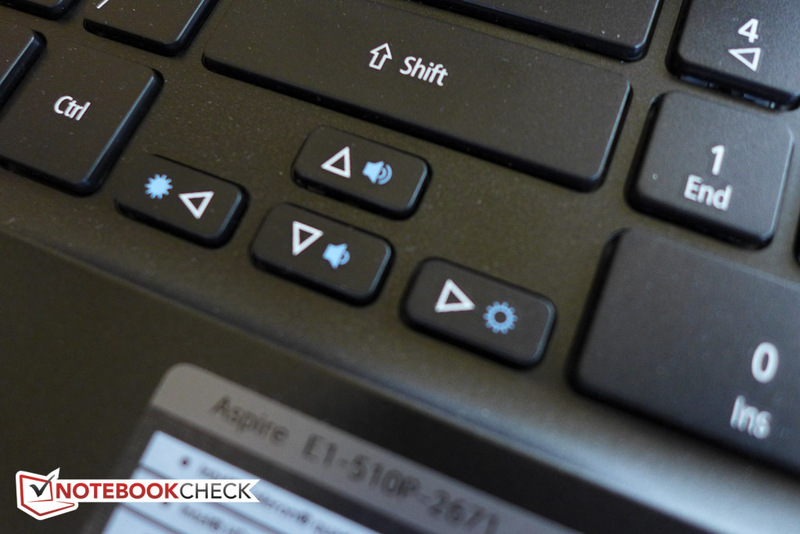 The Aspire E1-510P-2671 is a solid, touchscreen-equipped 15.6-inch budget notebook with a great battery life for the class. Processing power is adequate and the notebook does well performing daily tasks like word processing, videos, and web browsing. Its main Achilles' heel is the highly reflective and very dim display, which restricts outdoor usability. On the plus side, the system features a touchscreen, which is not yet very common in the budget category. A very good alternative are the various versions of the Dell Inspiron 15 - a touch-screen model with an Intel Core i3-3217U processor (but only 4 GB of RAM) and integrated graphics can currently be found online for about $50 less than our review notebook. Lenovo's IdeaPad S500 Touch is available with a Core i3 processor for around $550, but comes with even lower average screen brightness. Premium touchscreen notebooks - like the Samsung ATIV Book 6 Touch (~$900) - are significantly more expensive, but also offer a lot more performance, much better displays, and higher build quality. 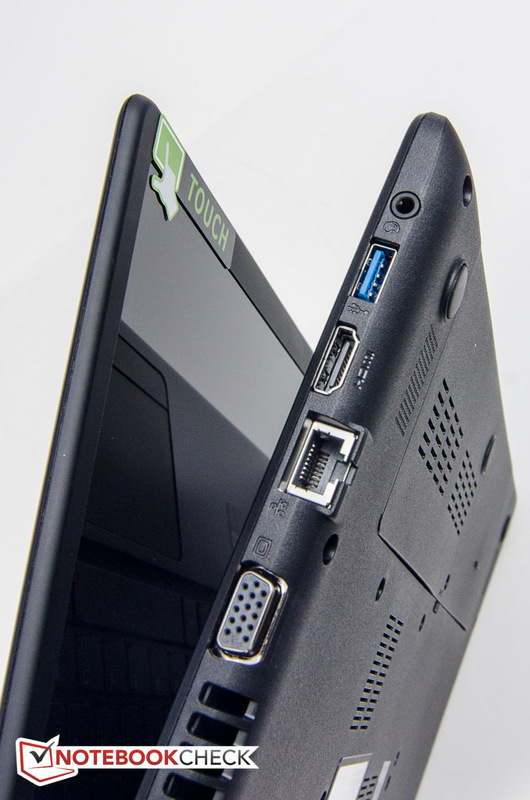 ...is a touch-enabled 15.6-inch notebook. 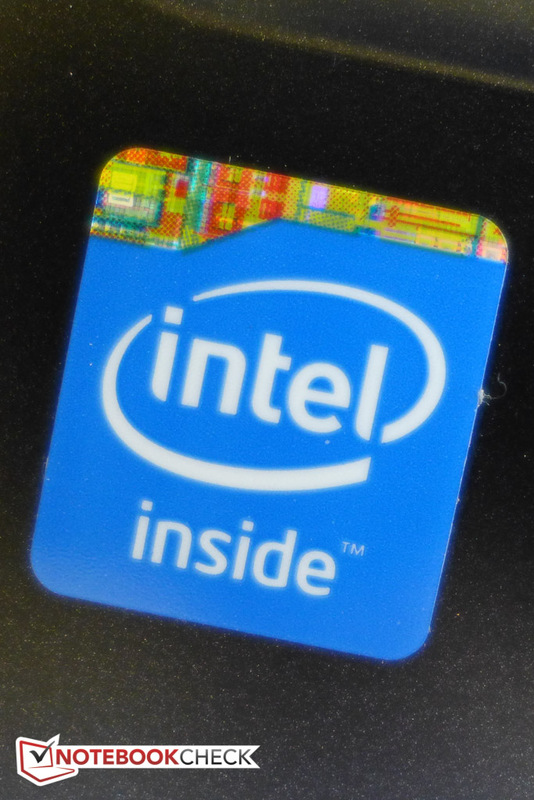 ...but this time, it's not an i-series CPU, but a Bay Trail Celeron. Chicklet-style keys with reasonable feedback. The only element that isn't plastic: the power button. The power adapter is tiny and weighs very little. The battery only has 37 Wh but allows for decent run times. The air coming out of the fan exhaust remains cool at all times. The slim and fairly attractive design and the long battery life. A brighter screen is on top of our list; non-glare would also be nice. 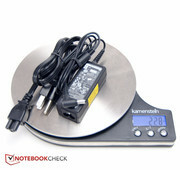 Considering the tiny battery, the notebook is capable of astonishing run times.